Join us next Tuesday when Diana and Lena fight over, uh, work together to present 3-time RITA-nominated author Joyce Lamb in two formats! That’s right. You get a double-header with an interview and a video. 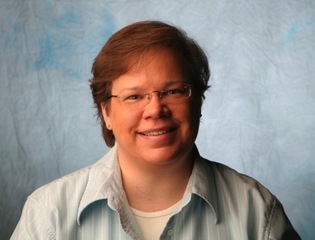 If you don’t know about Joyce, the creator of the USAToday Happy Ever After blog, you’re missing out, so be sure to check back on Tuesday. Find out why Publisher’s Weekly gave TRUE SHOT a coveted starred review, and why RT Book Reviews said the following about TRUE SHOT, by Joyce Lamb! 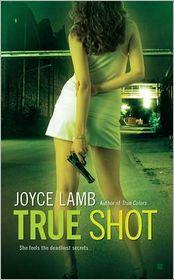 Lamb brings readers full circle with the third installment of her True series. Cleverly written with a steady pace of action and despicable bad guys, this book can stand alone, but you’ll want to discover what happened from the beginning. Don’t miss out on this one. Unexpected things sometimes happen when you follow your passion. It wasn’t my passion for writing romance that brought unanticipated good fortune. It was my passion for my writing software, Scrivener. Yes, I’m the kind of girl who goes gaga for apps and gadgets, and I have a long history of writing how-to manuals to teach others how to do my job. So, through a series of blog posts, and later my online classes, I accidentally and somewhat unintentionally established myself as a Scrivener expert. Apparently they liked it—and possibly also my platform of former students and current blog followers—and I got the job. Last week, my book finally hit store shelves. No, it’s not what I expected to create when I started writing more than three years ago. 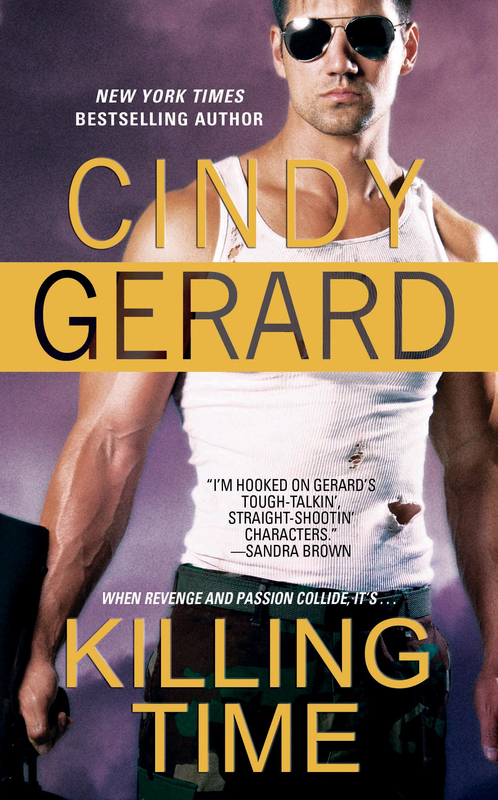 I thought my first published book credit would be an emotional, exciting romantic suspense with a blurb from my favorite author and a hot guy on the cover (hey, if you’re gonna dream, go big). Instead I have the pointy-chinned Dummies Man on the spine. Not exactly an alpha male, but he has his own appeal. 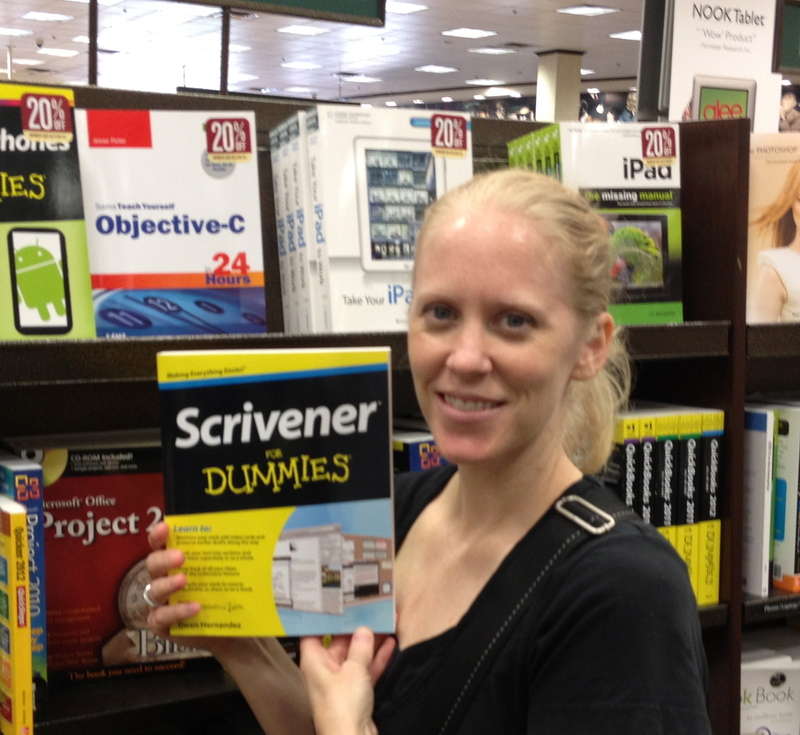 Scrivener For Dummies may not be a romance, but my love for my subject is still on the pages. My voice is still there in every paragraph. And my heart still does flips when I spot the black and yellow cover on the shelf at Barnes & Noble. I followed my passion and something unexpected happened. It’s not the path I expected to take—and I haven’t given up on my dream of publishing romantic suspense—but I’m certainly not complaining about the detour. Has your passion for something ever taken you in an unexpected, but positive, direction? Winners from Brenda Novak and Breast Cancer Posts! Congratulations to Cris (from August 22nd 6:25AM post), you’ve won the THREE WEDDINGS AND A MURDER and FIRST DO NO EVIL giveaways in our fight against breast cancer! Congratulations to Kitty Katz Mom. You’ve won a Brenda Novak tote with an autographed copy of WHEN LIGHTNING STRIKES inside! Congratulations to C. K. Crouch. You’ve won the audio version of WHEN LIGHTNING STRIKES from Brenda Novak! To claim your prize, please email us here with your preferred email (and snail mail if you are the winner of the tote). Snail mail winner must have a USA address. Being a bestseller isn’t all champagne and roses (well, there is champagne, just not all the time). What happens in those frantic moments trying to get to the airport, packing from trip to trip, and living the life of celebrity on tour? Well, darling Brenda Novak reveals all to her readers in the video interview below! I wanted to thank Brenda for stopping by and remind everyone that in a few short days, When Lightning Strikes, will finally be out. I absolutely cannot wait! Please keep the conversation going by posting a comment below. Once again, Brenda will be stopping by to say hello and answer your questions. Sending you hugs and hoping Brenda puts the same smile on your face she put on mine. http://youtu.be/4aMJSYxEbrg The winner of an autographed copy of When Lightning Strikes in a Brenda Novak tote bag is Kitty Katz Mom and our second winner of an audio version of When Lightning Strikes is C.K. Crouch. Enjoy! 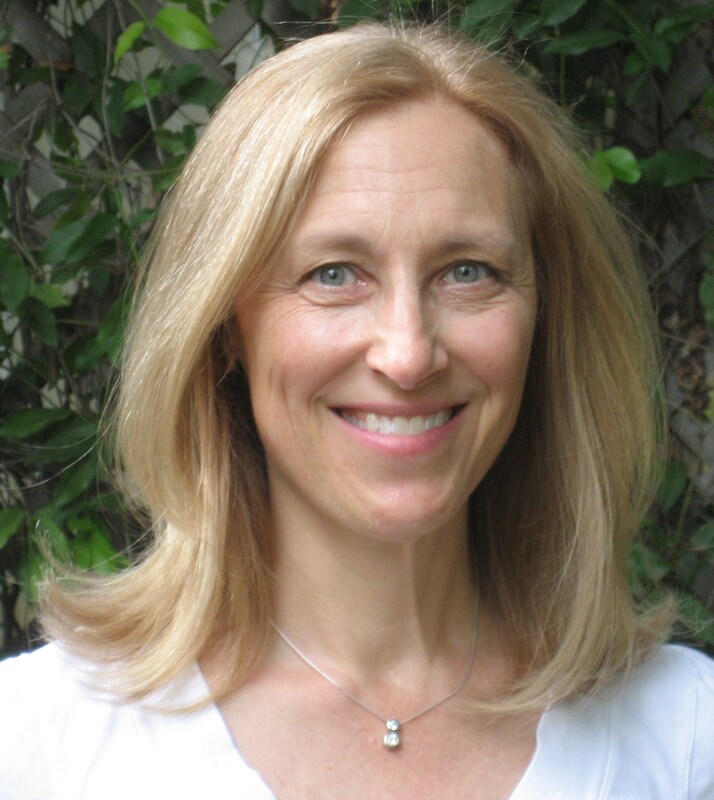 And see you all here next Tuesday when our very own, BESTSELLING, Gwen Hernandez, talks about writing that massive novel you’re all dreaming of — with the help of a program called Scrivener. Can’t wait to find out more about it. 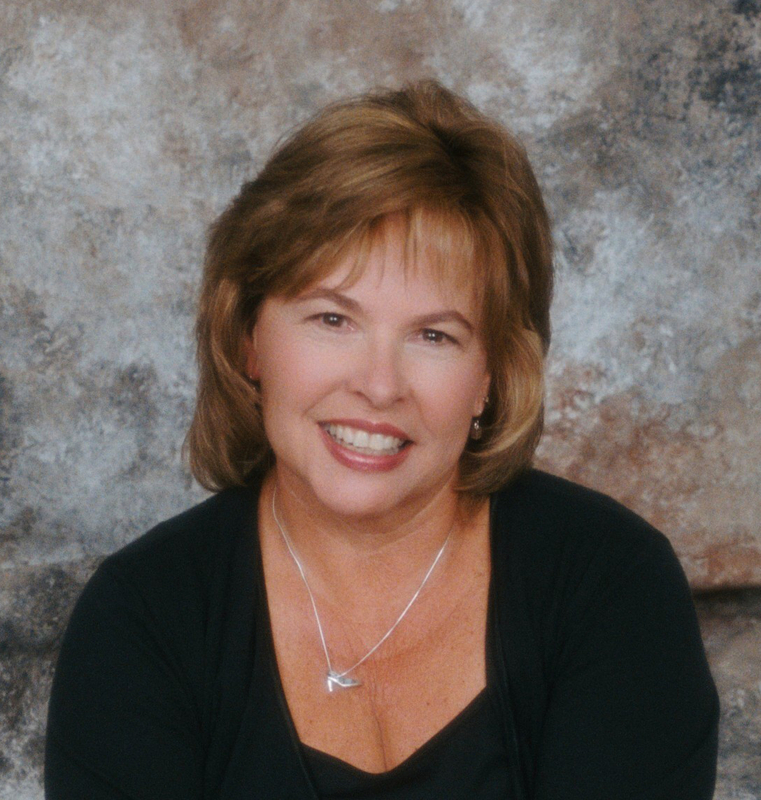 Once again, Brenda Novak will be stopping by to join in the conversation. What are some of your most embarrassing moments? How do you deal with life’s little curve balls? 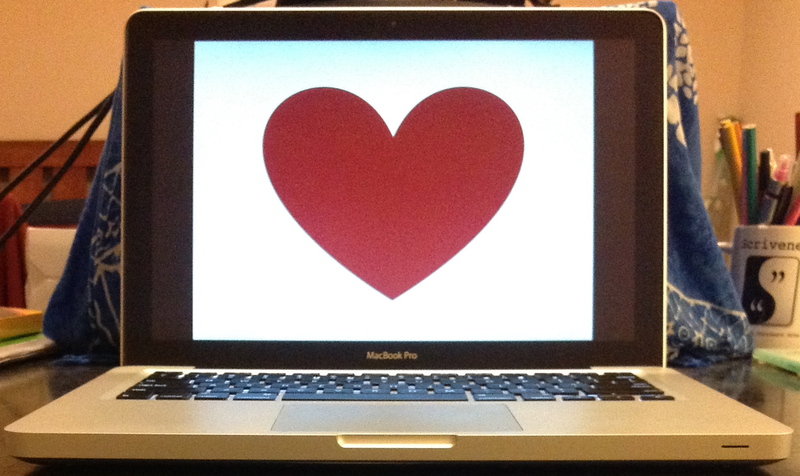 In the meantime, sending all of you hugs! Later I’ll be giving away books, and updating you on our team, THE BODICE RIPPERS, and the upcoming Avon Breast Cancer Walk. But First things first! Courtney, Tessa, Leigh, and I want to extend a heartfelt THANK YOU to our wonderful honor roll donors! These are folks who have made a direct donation to team Bodice Rippers. With only a month left until the Avon Walk for Breast Cancer, We’d love to add you to our honor roll. Please consider making a direct contribution. We love big donations of course, but small donations add up. If you can spare the price of a movie, we’re grateful! I never post amounts unless specifically requested. You can donate to our team here. We are so very grateful for each one of you who has purchased THREE WEDDINGS AND A MURDER, helped us spread the word, or made a direct donation. The Avon walk for breast cancer takes place September 22, 2012. We’ll be putting our tootsies where our mouths are and walking nearly forty miles for a cause close to our hearts. We’d love to reach our goal of $10,000. 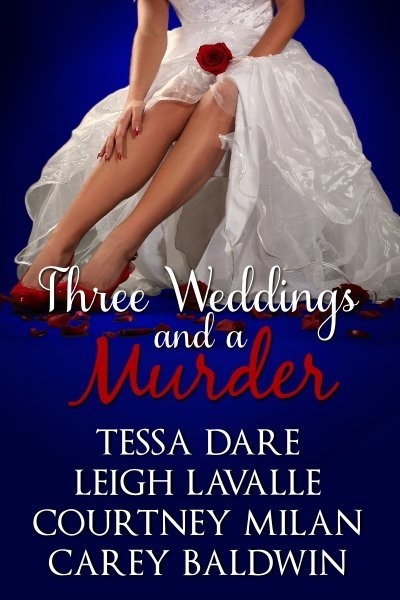 From THREE WEDDINGS AND A MURDER: Royalties received as of August 16th, 2012 $1,655.01 Remember, ALL PROFITS from TWAAM go to the walk. On the personal side, Team Bodice Rippers has had a wild year. Courtney has continued to blaze a trail for independent authors everywhere with her New York Times and USA Today best-selling books, and she’s relocated across the country and purchased her first home! 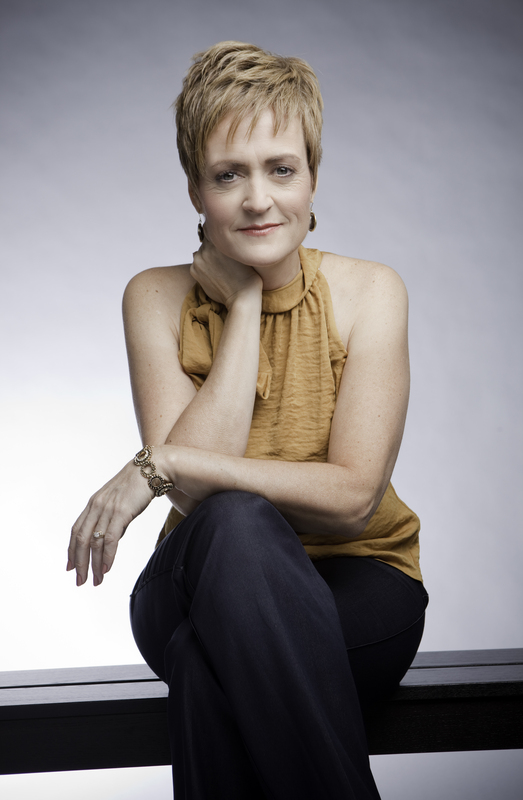 Leigh released her debut novel to critical acclaim. But the big news is she has been blessed with a soon-to-be blessed event! She’ll be cheering us on from the nursery with her newborn bundle of joy! We will miss her terribly on the Avon Walk, but she will be there in spirit and is an integral part of our team. We’re pretty sure delivering her new little guy will be harder than walking forty miles, and we are sending her every wish for a safe and happy delivery. 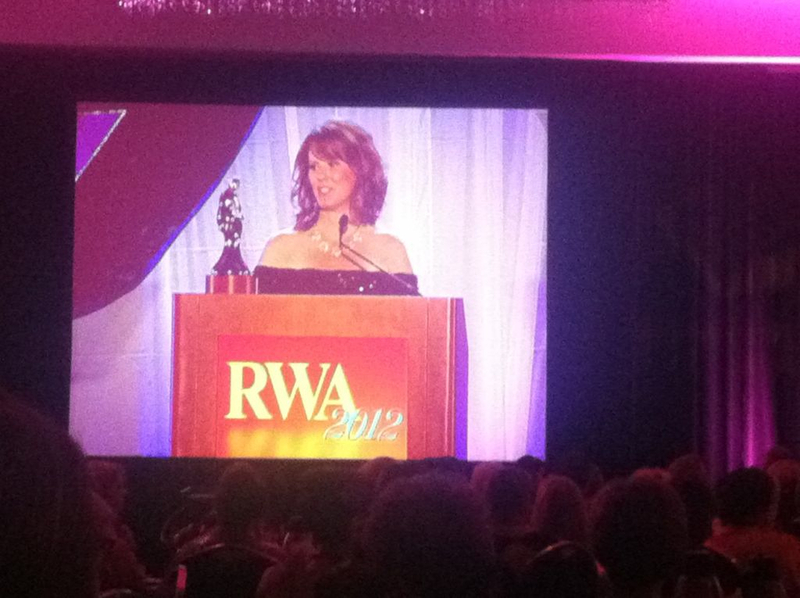 Tessa…she just won a RITA!!! Can you hear our collective heels clicking in glee? Oh, yes, and she also hit the USA today list and the New York Times list! Carey released her debut novel to critical acclaim, but her big news is she married the man of her dreams and became a “new mom” again to a fifteen-year-old sweetie-pie! Where does the money for the specific Avon Santa Barbara Walk go? We think you’ll be as impressed as we are. Check out this link for more info on where the money goes. 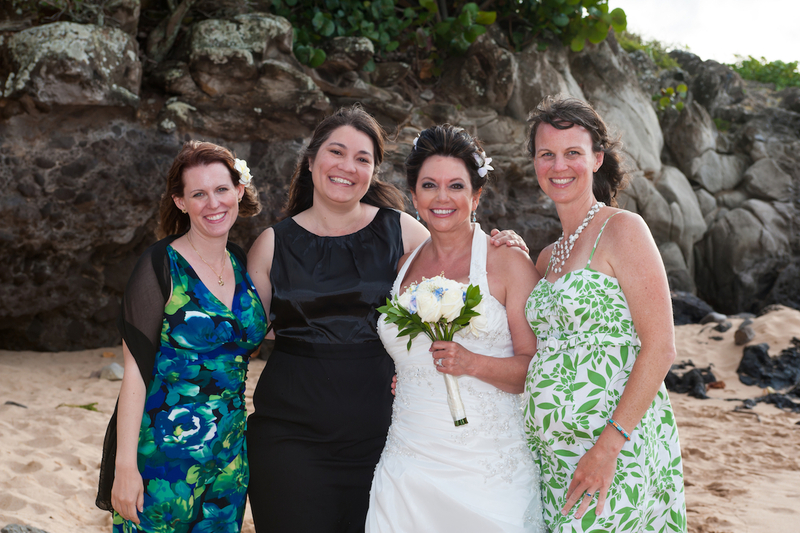 If you’d like to help us meet our goal, you can purchase THREE WEDDINGS AND A MURDER here, or you can make a direct donation here. Thank you all for being part of our journey. We cherish our community. What’s your favorite way to stay healthy? Or just say “Hello”. 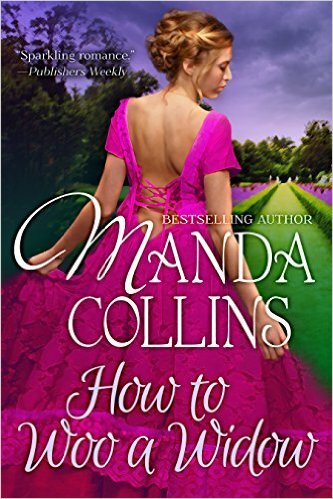 I’ll be giving away one e-copy of THREE WEDDINGS AND A MURDER and one e-copy of FIRST DO NO EVIL to one commenter today. Brenda Novak was struck by lightning — but don’t worry she’s okay. It’s the kind of lightning that wins Rita awards, not the kind that puts you in the hospital! Her new book, When Lightning Strikes, is coming out in one week, August 28th. To celebrate, she is here, via video interview, to tell us about it, how she researches her books, and her fantastic work raising money for diabetes. Even better, two — yes that is right TWO — readers who comment below will win prizes. The first prize is a Brenda Novak tote with an autographed copy of When Lightning Strikes inside, AND the second prize for another lucky reader is an audio version of the same brand new book! So don’t be shy, let us know what you think, a great prize may be waiting just for you! First up, Brenda tells us about her new book and what success means to her. 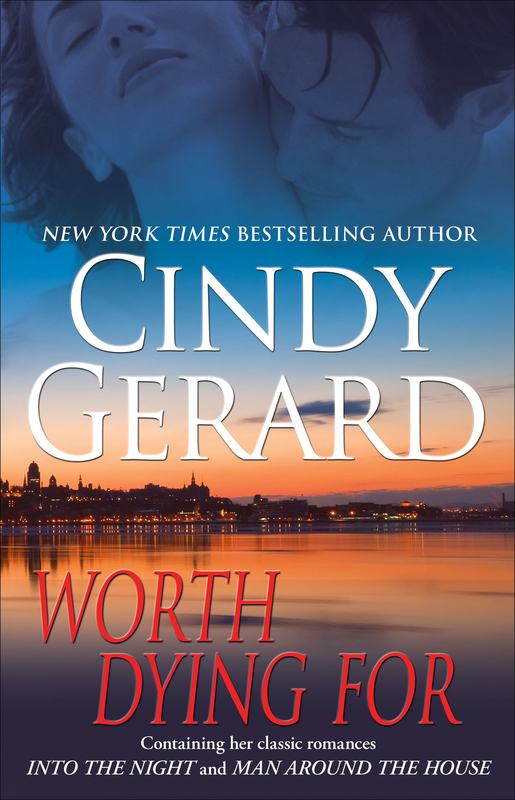 Congratulations to Jaquie Biggar and Misty Helms you’ve each one an electronic copy of WORTH DYING FOR from Cindy Gerard!! Congratulations to Jackie Griffey. 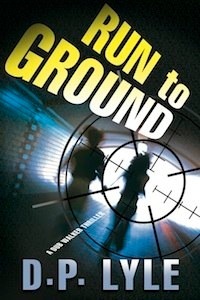 You’ve won a copy of RUN TO GROUND from DP Lyle!! To claim your prize, please email us here with your preferred email and for Jackie Griffey, we need your snail mail too.